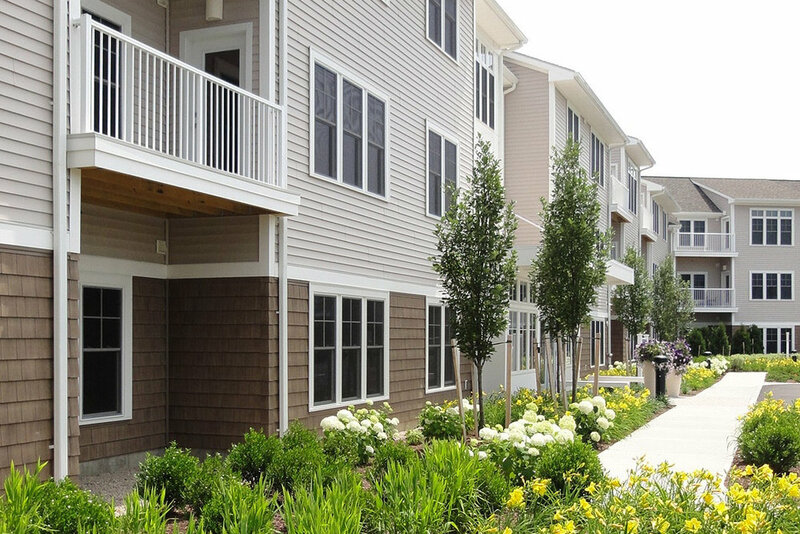 This housing development is located within a scrub oak woods near the shoreline in Marshfield Massachusetts. 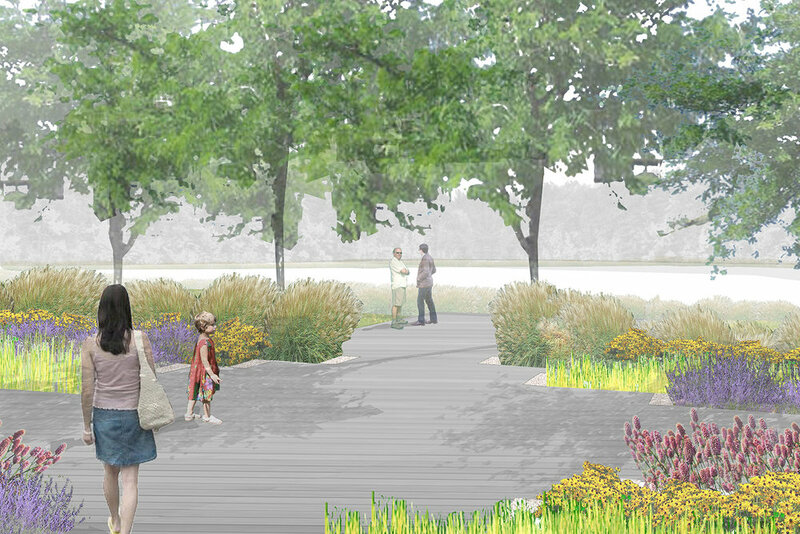 The proposed site design knits with this existing wooded area while incorporating ornamental grasses and native meadows to reinforce the proximity to the beach. Storm water retention basins that reduce the volume and intensity of run-off are planted with native species that provide wildlife habitat, water cleansing, and four season interest. An outdoor common area is defined with bold perennial planting bands that terminate in blocks of crushed shell surfacing, and concrete 'plank' pavers allude to boardwalks common at shorelines. The view to the constructed rainwater runoff retention basin beyond is emphasized with mass plantings that will have maximum visual impact. This project is LEED Platinum certified.